Optional AED Bracket for HeartStation Brand AED Wall Cabinet. Centers the smaller size AED in the center of the wall cabinet. 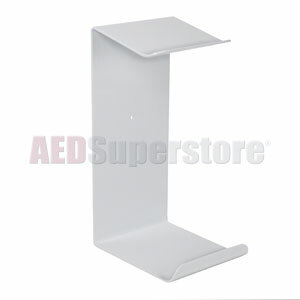 Note: Purchase with the HeartStation AED Cabinet, and the AED Superstore will install this bracket into the cabinet before shipping.